A spacious three bedroom semi-detached house offered with generous garden to front and rear, no onward chain, off-road parking, located in the popular Broadland village of Rollesby. Ideal investment opportunity. A spacious three bedroom semi-detached house with well-proportioned gardens and off-road parking, located in the popular Broadland village of Rollesby. With full UPVC sealed unit double glazing. The property is within easy access to the Norfolk Broads and the nearby Norfolk coastline. 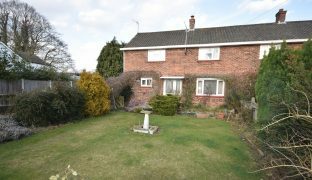 Offered with no onward chain, the house is in need of some renovation, and would make an ideal residential investment, or well-placed family home, with Rollesby Primary School located within walking distance. Entrance Hall: Part glazed UPVC entrance door, double glazed window, staircase to first floor with under stair cupboard, telephone point. Living Room: 17’3″ x 11’6″ (min 9’7″) – Chimney breast, double aspect double glazed windows to front and rear. Kitchen: 12’9″ x 8’11” – Two built in pantry cupboards, two double glazed windows to rear, fireplace, sink unit. Cloakroom: 9’3″ x 7’6″ – Window to front, door to side. Landing: Loft access, night storage heater, cupboard housing hot water tank. Bedroom 1: 12’7″ x 11’2″ – Double glazed window to front, built in wardrobe. Bedroom 2: 11’7″ x 8’6″ – Double glazed window to front, built in wardrobe. Night storage heater. Bedroom 3: 8’4″ x 7’5″ – Double glazed window to rear, built in wardrobe. Night storage heater. Wet Room: 5’7″ x 5’1″ – Wash basin, electric shower unit. Window to rear. Separate w/c: Low level w/c, window to rear. 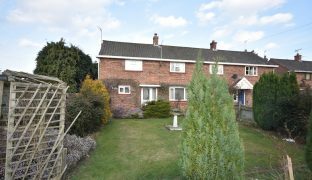 The property enjoys a generous front garden, and large enclosed rear garden. 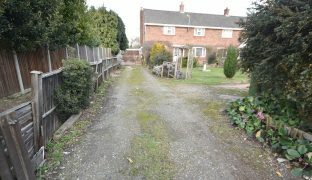 The driveway leads to a single garage. Services: Mains water, electricity and drainage connected.